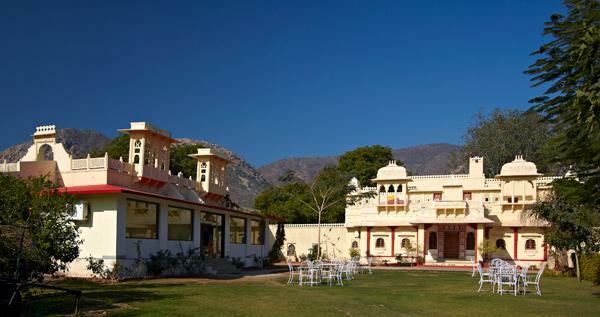 Hotel Alwar is surrounded by lush of greeneries and attractive Mountains called Aravalli. 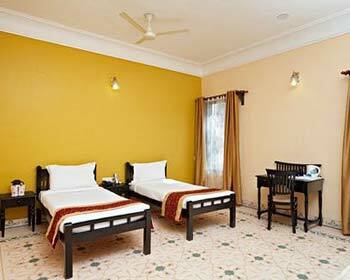 Hotel Alwar Bagh is a natural and god made paradise in the whole of Alwar. 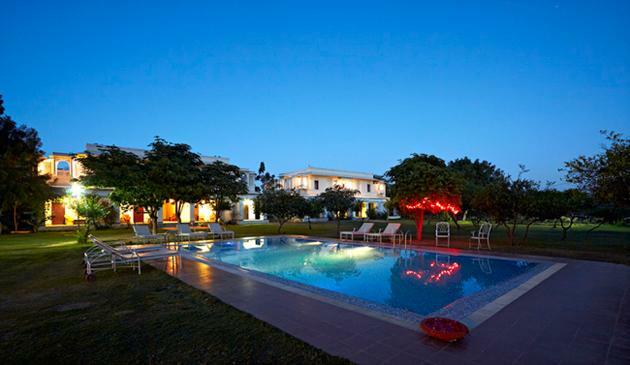 The awesome view and heritage style featuring the resort is a swimming pool and a restaurant. 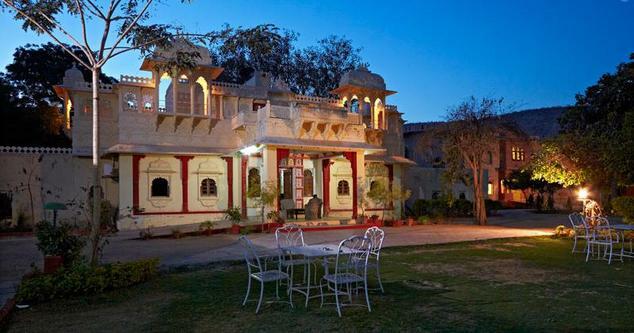 Located near Sariska and Alwar, the hotel is a perfect destination for couples and honeymooners. Bonfire can be arranged in the winter days. 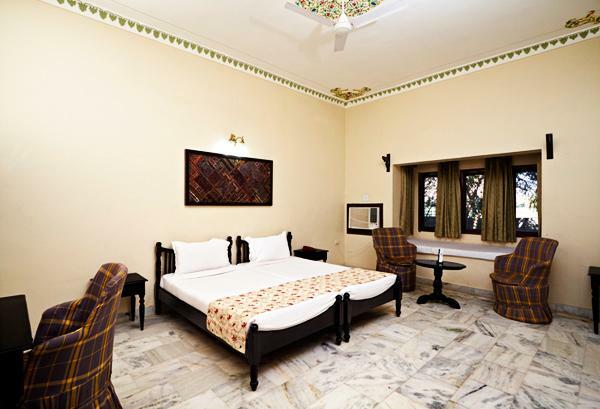 The hotel is very near to the world popular wild life sanctuary and provides a lot of fun for the lovers of wild life, and also for those who love archaeology and art. 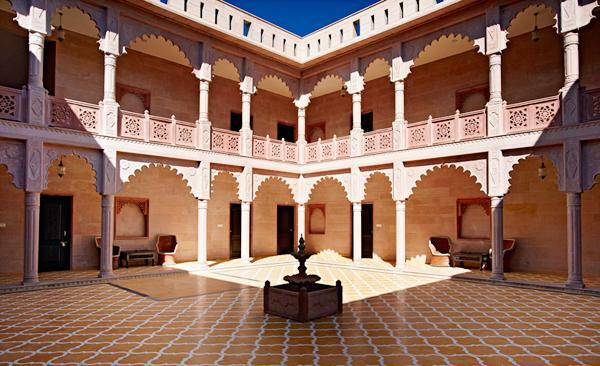 This place is for visiting those historical and old monuments for the exploration of nature trails and wildlife. These rooms are very fine. The televisions come with premium cable channels. 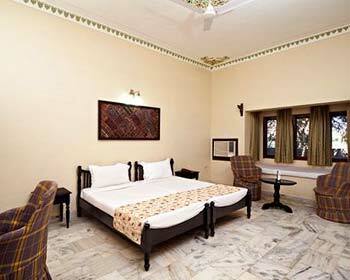 Most of the rooms feature air-conditioning and other facilities such as Iron, newspaper and direct dial phone. 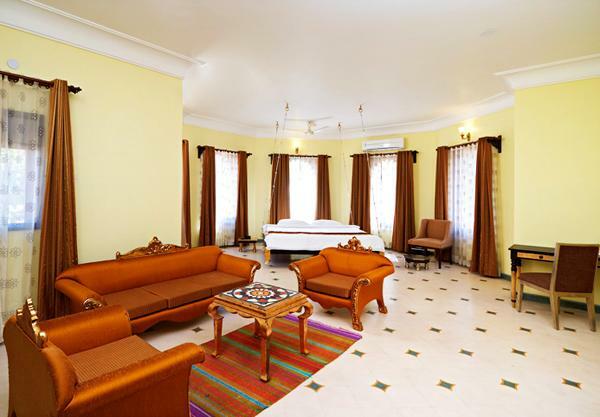 These rooms are very spacious and luxurious. 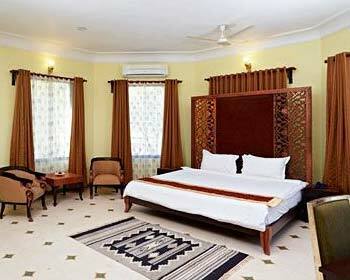 These rooms come with features such as complimentary breakfast, swimming pool and access to Indoor Games. 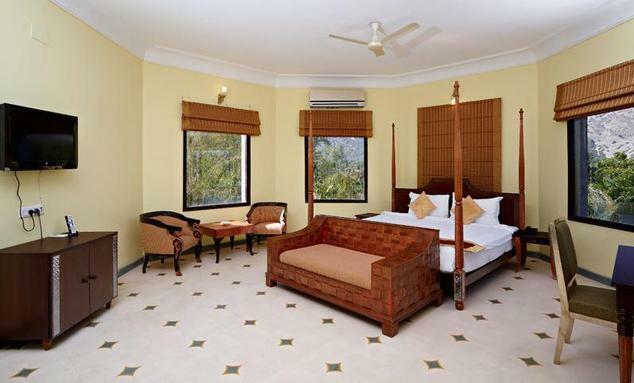 These rooms are the best in quality available in Alwar Bagh. 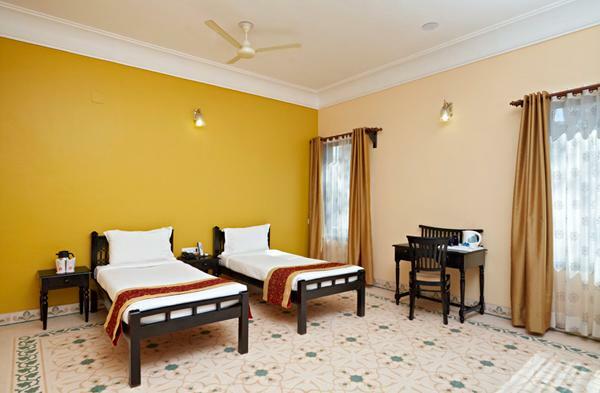 Along all the basic amenities like Tea/coffee maker, High speed Wi-Fi connectivity, Mini bar, in room dining and Electronic Safe, these rooms have free access to indoor games and the swimming pool. There is a single restaurant in the hotel. 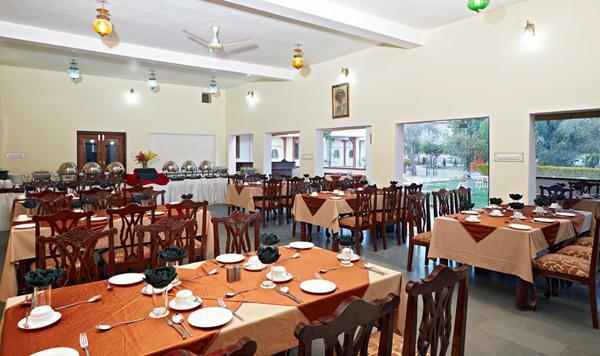 The multi-cuisine restaurant serves wide variety of local traditional food. 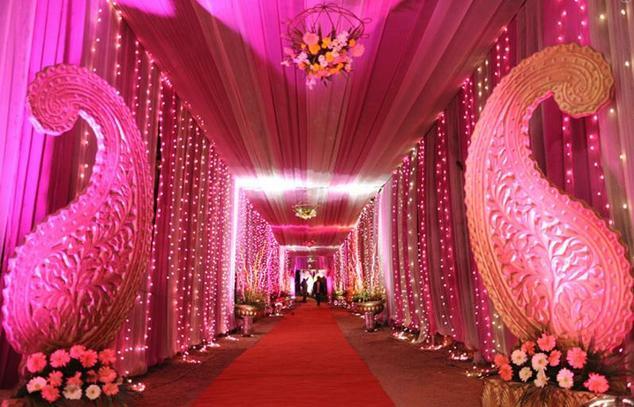 Other than that they also provide Indian, Continental, Chinese dishes. 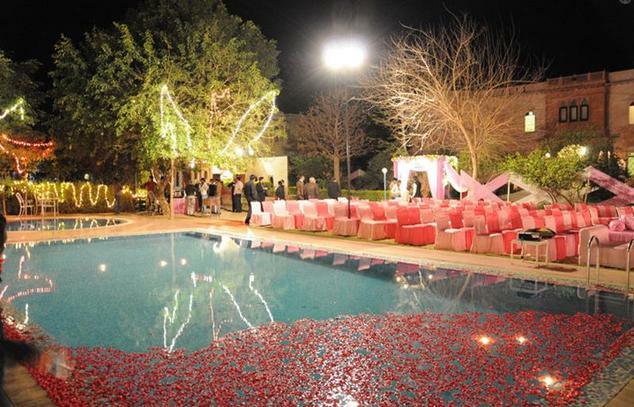 The food is prepared to cater to the taste and the swift service provides the added flavor to the taste of the food.